Welcome to SPRING crafting 101. Well let me be real with you. 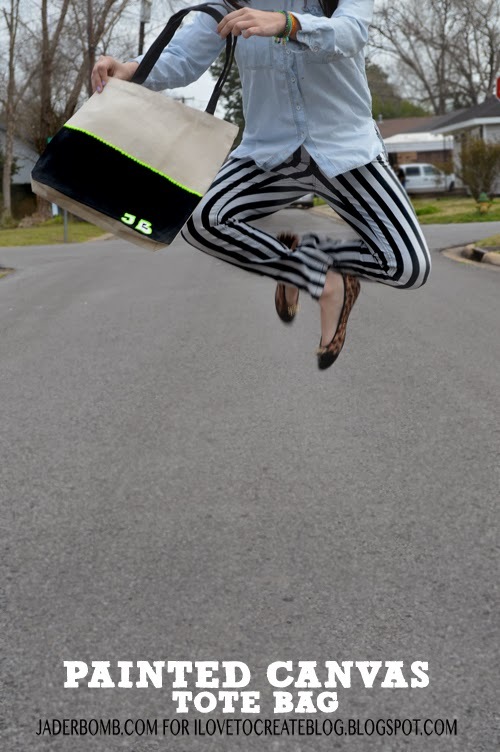 I am a bag addict and there is nothing more fulfilling than creating your own bag. It's sorta like you are your own personal designer. I will imagine this bag is going in some high end store like... Walmart. HEHE! 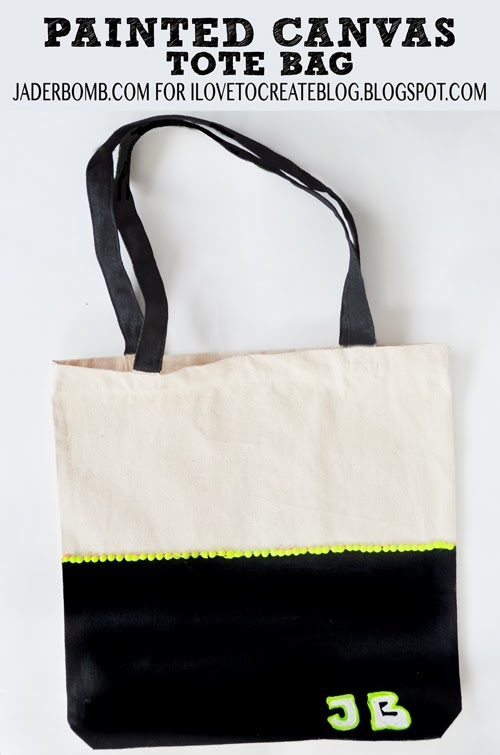 I am totally in love with all of the neon crafts lately so I thought it was totally necessary to have a neon bag on my shoulder for the spring. 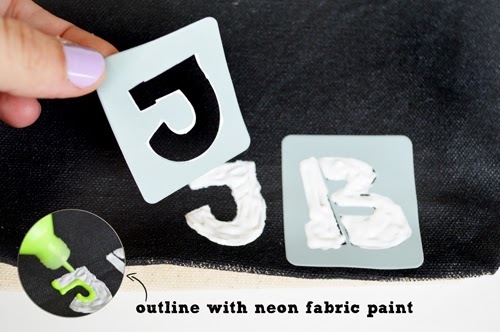 If you are not familiar with this fabric paint, I will tell you it's amazing. 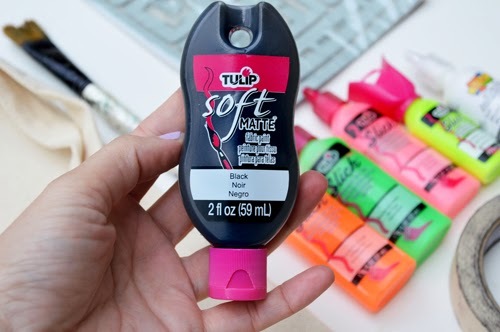 It goes on very smooth and provides FULL coverage! I also like the hole at the top of the bottle. You can put a long nail in the wall and hang them on it! 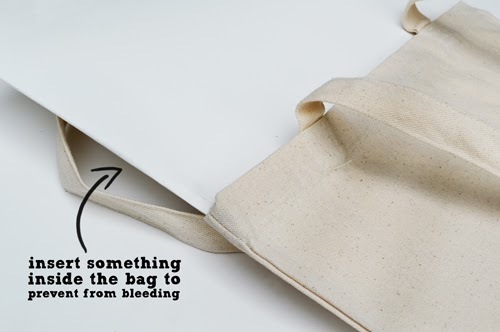 Step One: Place a piece of cardboard or thick paper inside of the bag to prevent the paint from bleeding through the bag. 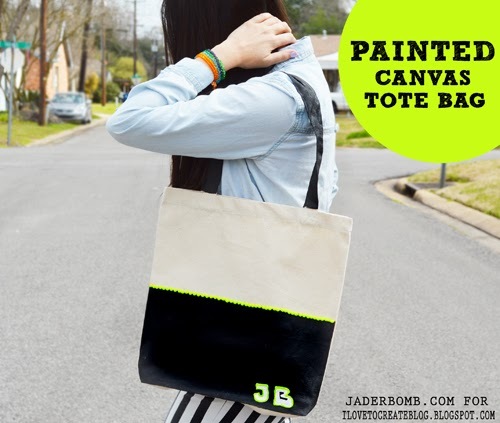 We would hate to get paint on the back side of the bag. 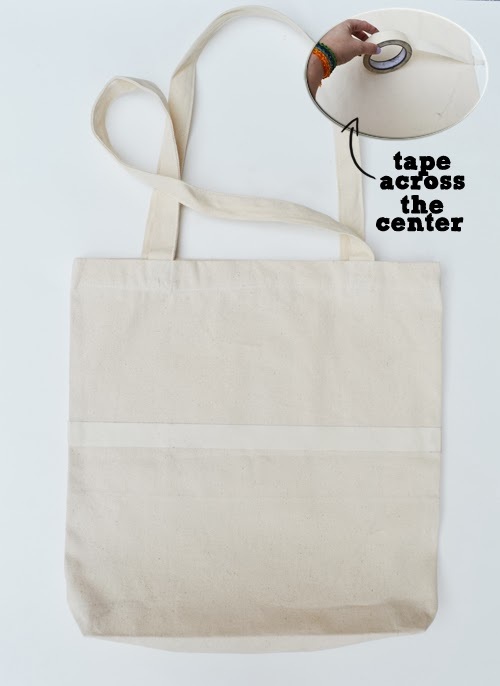 Step Two : Get your masking tape and make a strait line across the middle of the bag. 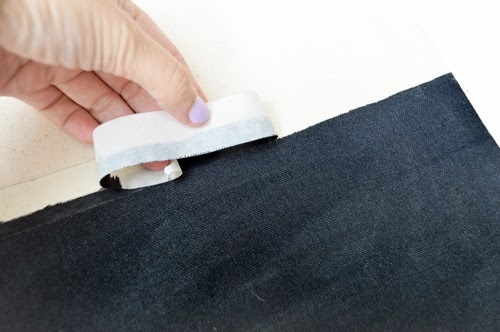 Step Three: Start applying your black fabric paint onto the canvas. 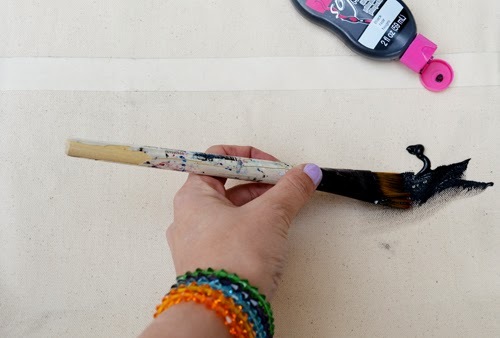 Make sure you apply a thick amount to completely coat the canvas. Step Four: Step back and admire the black paint (hehe). 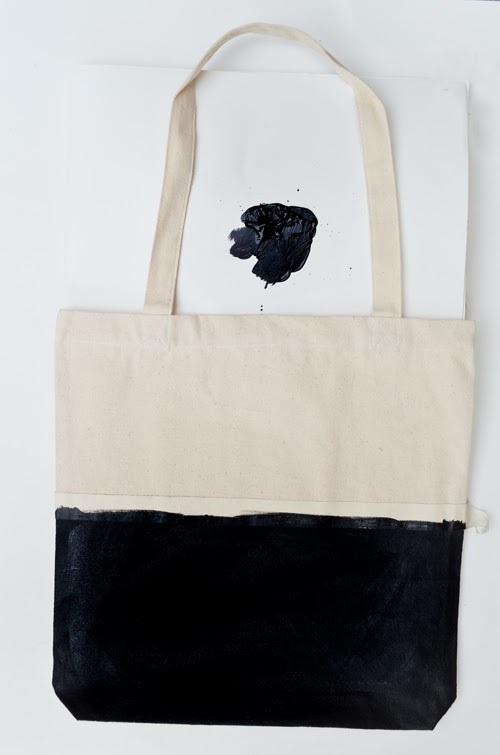 This is what your bag will look like when you are done. Allow it to dry for a few hours. I left mine over night to make sure it was completely dry before I moved onto the next step. It's ok if the bottom is not painted. Once you start filling your bag this section will not show. However, if you want you can paint the bottom once the front is dry. Step Five: Gently peel the masking tape off of the bag. No worries if you see a little bleeding from the paint. We will be adding puff paint to this section so you will not see it. 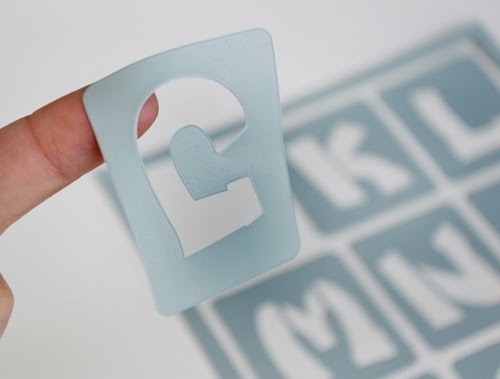 I will be using these flexible stencils to put my initials on the bag. 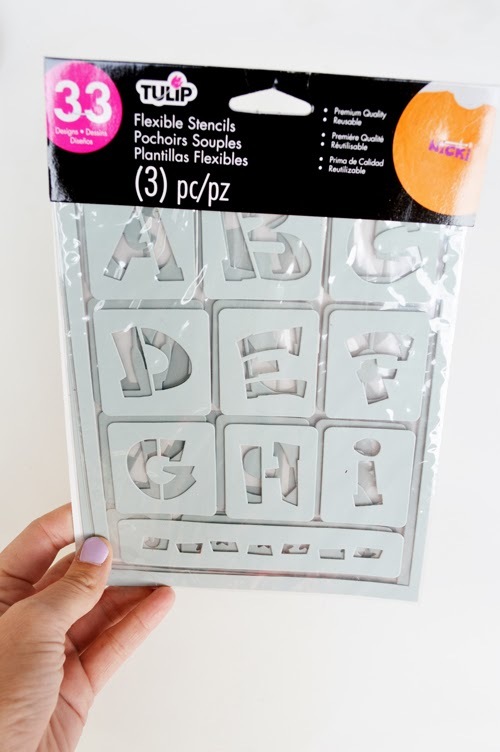 Don't worry they are adhesive meaning they will stick on anything. 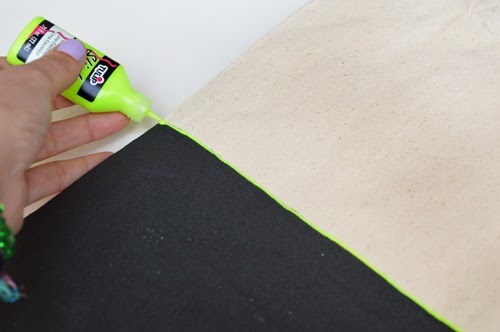 Step Six: Grab your neon puff paint and draw a line across the top of black section. If you want you can add as many colors for this step as you like. I also placed a pink line on top of this one. 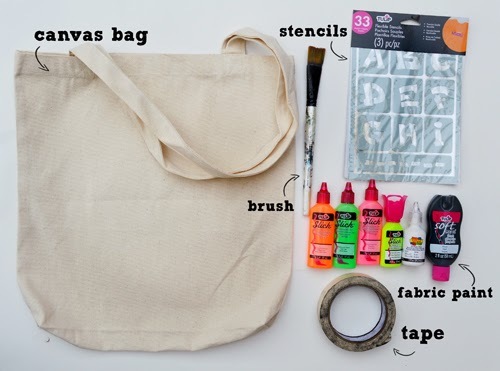 Step Seven: Place your stencils on your bag where you want and fill in the stencil with white puff paint. 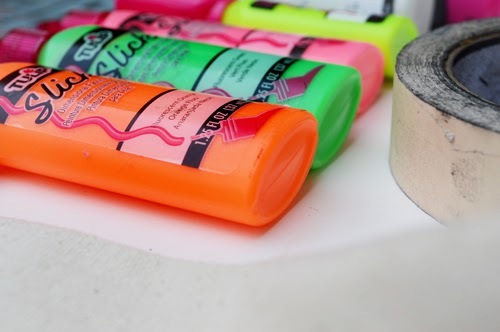 Step Eight: Get your neon puff paint and outline your initials. 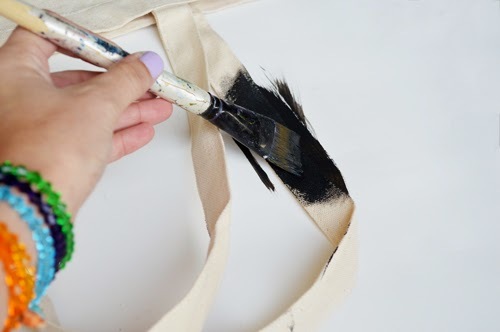 Step Nine: Paint your straps. 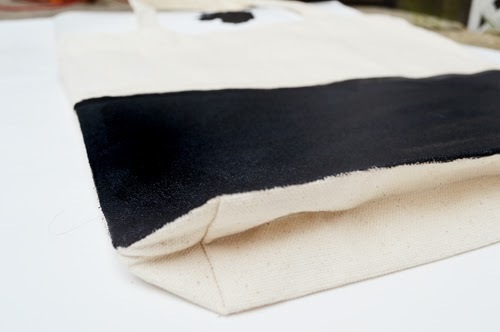 This just adds a nice finishing touch and takes the bag to a whole NEW level! 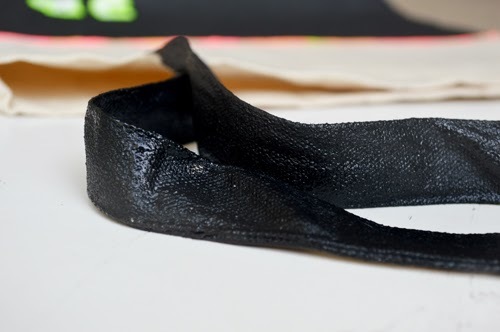 Make sure you allow the same amount of drying time for the straps. 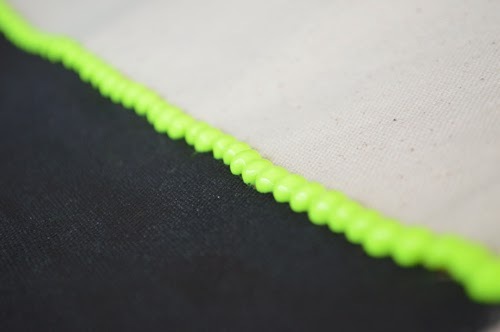 Step Ten: Add some NEON dot's right over your line. Don't worry you will still see some of your pink and yellow line showing between the dots! I hope you enjoyed this FUN tutorial. Make sure to have fun making your Tie-Dyed Eggs! good idea...that a simple n nice bag. i wait your another creations.